When you’re shopping for a new RV you’re pretty well protected by the factory that built it. Since it is supposedly new, it’s to the dealer’s benefit to have the RV clean and ready to show. It will probably be open to customers while it’s on the RV dealer’s lot, but generally there’ll be no glaring deficiencies that would alert you that you might not be getting the best deal. Your new vehicle warranty will take care of anything that might have slipped by the factory inspectors. But when it comes to used RVs, that’s a whole different story…. For more than 10 years, I worked for 4 different RV dealerships for short periods of time. Some of the things I witnessed opened my eyes to certain practices that, in some instances, were unethical; others were even illegal. In almost all used RV dealerships, there will be some things that are not in the best interest of the customer, but nonetheless, are necessary to keep operating costs in line. In the RV business, as in all retail sales operations, it’s the sale that matters above all else. If the deal isn’t closed, there’s no profit to be made. Keeping expenses as low as possible and maximizing profits are what it’s all about. There’s nothing wrong with this philosophy — it’s called capitalism. Some people will buy a used motorhome from an RV dealer rather than a private party. They believe there’s a better chance that the used RV has been checked out beforehand and that the RV dealer will stand behind it. Generally, this is a bad assumption. 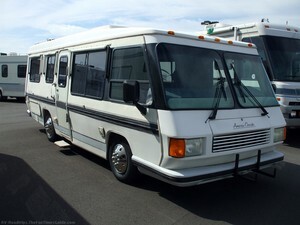 When a used RV is traded in, it goes into the used RV lineup, often without even a quick once over. Some used RV dealers will send it through their detailing crew first — to clean it up inside and out. I was told by one detailing manager that he could take a $5,000 RV and get $25,000 for it just because his crew shined it up (including applying tire dressing to give the tires that new look). Did they address any mechanical problems? No, because that would cut into the profits. It’s critical that you have all repairs settled on written clearly on the purchase agreement. When your RV comes into the shop to be readied for you, if it isn’t listed on the sales agreement, it won’t be done. (A big smile and a hand shake won’t do you any good.) Make sure it’s on paper exactly what they agree to do. A good used RV dealer will make every effort to ensure the customer is satisfied with their purchase. However, because of busy season constraints, they may ask you to put off cosmetic RV warranty claims until the off-season. They can only afford so many technicians; and during peak periods, they have to keep up sales. At times, they can only manage to take care of minor warranty claims that wouldn’t keep you from using your RV. (Not an unreasonable way to do business in my mind.) Some other not-so-ethical used RV dealers will stack the deck to make sure the profit margin is in their favor. The worst situation I witnessed was an RV dealer who, on a regular basis, convinced used RV buyers to purchase an aftermarket extended RV warranty at the time of the sale. The sale was completed with the buyer being fully aware that the cab air conditioner in the motorhome didn’t work when the RV was placed in their possession. The salesman told them to just bring it back in a week, at which point he would file a claim on the extended warranty and have the AC repaired. Guess what folks? That’s fraud. The extended RV warranty company is operating with the understanding that everything was operational at the time of the sale. By making a claim against them for the repair of a known inoperable air conditioner, they have committed a crime that can land them in court (or worse). Some high volume used RV dealers down south prey on snowbirds who arrive for the winter. They just come to look at the thousands of RVs on the lot and before they know it, some young high pressure salesman has gotten their signature on the dotted line. Their flow of traffic is so large that they may have as many as 15 to 20 RVs being demonstrated to their new owners every day. Will all buyers be happy campers? Not usually, many times they will promise you the world to get you off the lot and on your way. After all, there are 300,000,000 other Americans and the next sale is only minutes away. 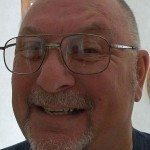 Are all used RV dealers crooked scoundrels that are hoping to clean out your savings? No, many are truly reliable owners of businesses who sincerely hope you will come back and continue to upgrade your recreational vehicles throughout your life. I do business with such an RV dealer. Just be aware that there are a lot of RV scams out there. There are many used RV dealers should be avoided in this buyer beware world. If you have the slightest suspicion that things aren’t above board and honest, just get up and leave. The next used RV dealership isn’t that far down the road, and his used RVs will probably be better anyway.